Politics Whatever Happened to Innocent Until Proven Guilty? It is scary how much power the national media has these days. If you get in the cross-hairs of ABC, NBC, CBS, and other national media, truth doesn’t matter. Studies have shown that a high percentage of the national media reporters are liberal in outlook. Too often, the reporters cannot see beyond their preconceived notions. More and more, many reporters do not separate their worldviews from their reporting. Any point of view but their own is stupid, wrong and dangerous. 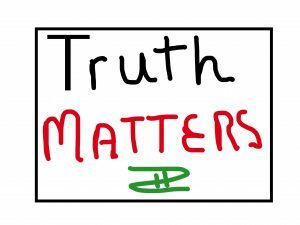 Yet truth itself doesn’t matter. When the media thought former President Clinton should have the highest office, their reporting clearly revealed the bias. When proof positive came out about his sexual harassment of women, the media gave him a slap on the wrist but went after the women. They implied, or outright said, these women were low class and uneducated as though that should have made a difference in allegations that were backed up with proof. Truth didn’t matter as reporters set out to destroy the lives of women who had already been victimized once. What “proof” of wrong-doing did they find? Several women said they felt harassed because Cain wears double-breasted power suits. One lady felt harassed because he indicated the height of his wife by touching his chin. Some women felt he was being harassing when he asked them to set up a dinner with a lady so he could better answer questions she’d asked. One woman pointed to a more long-term affair. Much of the national media lives in a medium of innuendo and unproven accusations because scandal sells the news. When a culture no longer believes in knowable truth or cares to search for it, nothing reported can be taken at face value. The search for truth starts by discounting unproven accusations–no matter how many times they’re repeated. (The Kavanaugh witch-hunt. Russian collusion.) We need to stop letting media create doubt about a person’s guilt or innocence. Democrat, Republican, Liberal, Conservative—what matters isn’t assumptions, speculation, or accusations. What matters is proof and truth. How would you or I respond if the spotlight turned on us? It is something to consider.